Three men and a woman have been jailed for the roles they played in a head-shaving incident described by a judge as an “appalling” act of degradation. The female victim had her head dry-shaved by three men who then tried to burn the remainder of her hair while she was unconscious. Following the shaving, which occurred at a flat in Ballymena in May 2013, the woman was then slapped by the trio while the entire episode was filmed on a mobile phone. The woman doing the filming – Paula Wilson, 22, from Main Street in Cullybackey – was handed a 32-month sentence. Wilson, who the court heard gave three conflicting versions of events to professionals prior to sentencing, admitted to two counts of aiding and abetting assault occasioning actual bodily harm and aiding and abetting common assault. Three of her co-accused were also jailed for their involvement in the incident on the victim, who Judge Donna McColgan described as “comatose” and “extremely vulnerable”. 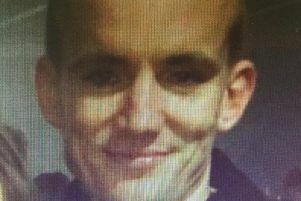 Paul Joshua Balmer, 42, from Crosshill Views in Kells, denied involvement and contested the matter but was found unanimously guilty by a jury at Antrim Crown Court on three charges last September. Balmer – who committed the offences two days after he was released from HMP Magilligan – was found guilty of two charges of assault occasioning actual bodily harm (AOABH) and common assault. The heroin addict, who has 261 previous convictions, was handed a five-year sentence. The two other Ballymena men – 23-year-old Alister William Hamilton from Drumtara, and Nathan Telford, also 23 and from Wilson Avenue – pleaded guilty to AOABH and common assault. Telford was handed a 40-month sentence, and Judge McColgan spoke of his “disgraceful behaviour” towards the victim, who he invited to the flat, and said he lacked remorse or insight regarding the impact the incident has had on her. Hamilton was sentenced to 36 months. All of the convicted will spend half of their sentence in custody, with the other half on supervised licence upon their release. The court heard Hamilton was the only one who made admissions to police when arrested, and it was accepted the remorse he has since displayed was genuine. The footage in question was shown to the jury at Balmer’s trial last September and again last December when Wilson, Telford and Hamilton were due to be sentenced. The video recorded on Wilson’s phone, which lasted around 10 minutes, showed the unconscious victim having her eyebrows shaved before her hair is then dry-shaved by the three men. Using disposable razors, at one stage the footage shows three pairs of hands shaving her hair at the same time. An attempt was then made to set part of the woman’s hair on fire, with jokes being made by her attackers about setting off the fire alarm. She was then slapped several times by Balmer, Telford and Hamilton. During Wednesday’s sentencing, Judge McColgan said the footage depicted “the most appalling acts of degradation of a young woman”. This footage, which was recorded some time between May 17 and 25, 2013, only came to police attention when Paula Wilson was arrested for a separate offence. Police in Ballymena knew nothing of the humiliating attack on the woman until Wilson was arrested by police investigating the attack on ‘body-in-the-bin’ victim Adam Robinson, who was found naked and bound inside a taped-up wheelie bin. The bin had been hidden in dense undergrowth in the Sentry Hill area of Ballymena and the discovery was made by someone out walking their dog in September 2013. Wilson is due to be sentenced later this year along with two Ballymena men for her involvement in the attack on the then 21-year-old Adam Robinson. When Wilson was arrested for the attack on Mr Robinson, detectives seized her mobile phone, and on examination uncovered the shocking head-shaving footage. As well as the film, there were also multiple images of the injured party and the four defendants on Wilson’s phone. The attack had gone unreported because the vulnerable victim – who had no recollection whatsover about the incident – was left petrified and traumatised and had fled Ballymena. Wilson, who the court heard was expelled from school and tech and who was also sacked from two jobs, gave varying accounts of the head-shaving incident to professionals. While she told one doctor she was so drunk she couldn’t remember the event, she told another that she had a clear memory as she hadn’t taken that much drink.